…whenever see a nice bike, the first thing I look at is the dropouts. Actually what I look at is the dropout/stay junction. I’m obsessed. 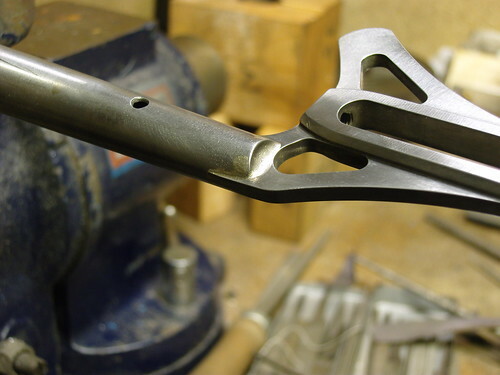 Unfortunately, because of this I spend waaaayyyy too much time on getting my dropouts to look just the way I want. Here’s some pics of some dropout goodness. These are Columbus Life stays paired up with some stainless steel Paragon Machine Works sliders. 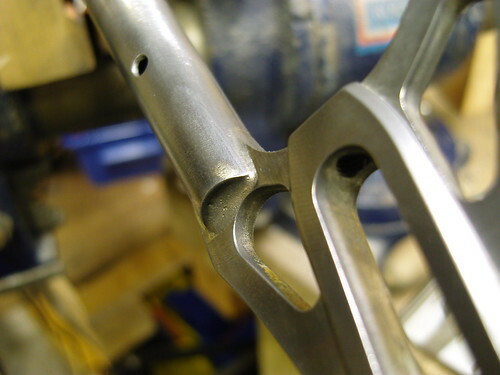 These are the dropouts after a bit of finish filing. 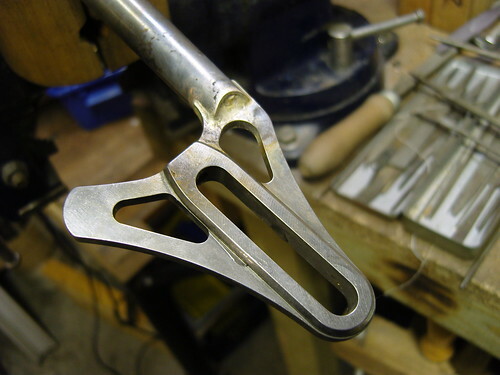 Once the stays are on the bike and the seatstays are on, I ‘ll spend some more time polishing these up. Then they’ll get covered in about 3mm of powdercoat and you want be able to see any of it!! !